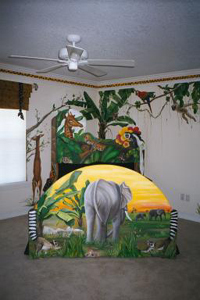 Custom designed and painted furniture created by Art Effects. This is where you will find Hand Painted Furniture created using techniques in trompe l'oeil and faux finishing. 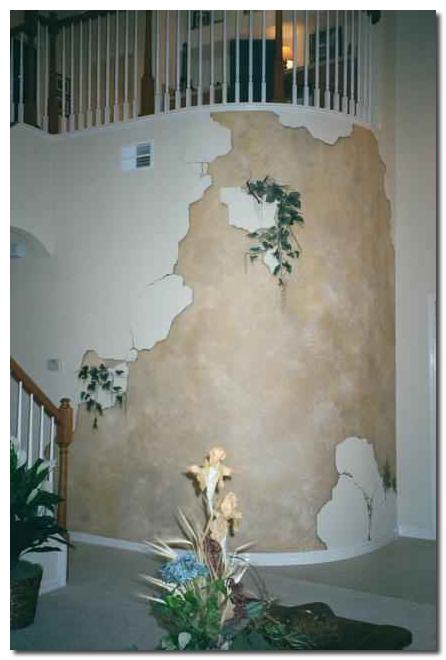 Welcome to Art Effects' where "Painting Your Imagination" is one of our goals. In the following examples of our custom painted furniture, you will see how we use our skills and techniques with trompe l'oeil, murals and faux finishing to create unique and imaginative additions with painted furniture for any room. Hand Painted Furniture with Murals and Faux Using our unique Art Effects on a custom designed piece of furniture we create and hand paint in our shop or one of your own, you will be guaranteed artwork that will make a lasting impression. Follow the link below to see some examples of our hand painted furniture, we create using talents in design, faux finishing, trompe l'oeil effects and mural painting. 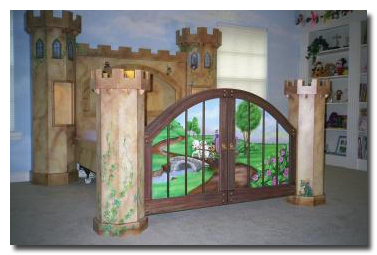 "Hand Painted and custom made Castle Bed"
By clicking this link you will be leaving our domain and entering a site with pop-ups... We have many examples of our hand painted furniture here, so the aggravation may be worth it. Also due to the traffic experienced, these pages may be closed during certain times of the day. If you encounter this we are sorry for the inconvenience and hope you'll return.